Involuntary Smiles: "I love it because it is about food"
"I love it because it is about food"
Good gracious, it has been a very busy weekend! Remember the movie night I had with Jeffrey where we watched our first ever chick flick as a married couple? Prior to that movie, the kids were up. We decided to have a pizza party with them. I mean, a real good, 6th grade version of a pizza party. Complete with soda, crazy bread, and a movie. We got all our things together and took the food down to the basement where the TV is located. Which is sort of a big deal as we have a no food out of the kitchen rule. 6th grade pizza party, remember? Complete with broken rules. We set up the movie and then we all got comfortable on the Luvsac to watch the movie. 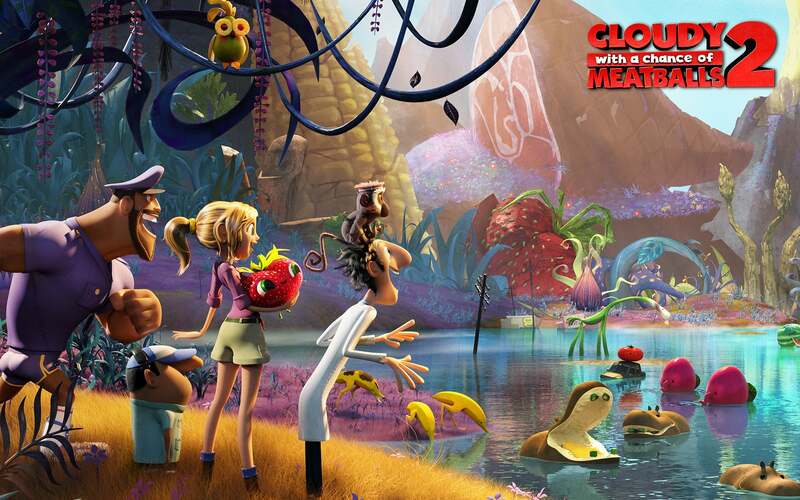 Cloudy with a Chance of Meatballs 2. Or as my kids call it Meatballs. When the movie ended, Keith stretched his arms above his head, let out a deep contented sigh, and said, "The is my new favorite movie. I love it because it is about food." Said and loved like a true boy.